1. The Holy See shall establish in the Dominican Republic a Military Vicariate under whose authority military chaplains shall be appointed to afford pastoral care for the armed forces of land, sea and air of the Dominican Republic. Without prejudice to the existing arrangements of the present Agreement, the Military Vicariate is subject to the provisions laid down by canonical decree issued by the Holy Consistory Congregation and to the provisions stipulated by the Training of Military Chaplains (Apostolic Acts of the Holy See, 1951, p.562). 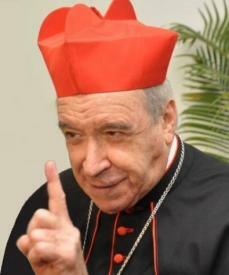 A temporary Archbishop of Santo Domingo shall be appointed to the office of Military Vicariate. The Vicariate shall appoint in its turn pro-vicar with the agreement of the Government. The Dominican State shall confer upon military chaplains the rank of Officer, in accordance with the military unit or institution to which they are appointed, and they shall be awarded the appropriate monthly pay in keeping with their rank. 2. The ecclesiastical appointment of military chaplains and their posting to corps or institutions subordinate to the State Secretariat for the Armed Forces shall be made by the Military Vicariate, which shall ascertain that there are no objections on the part of the Government. The successive appointment of military chaplains as state functionaries shall fall within the competence of government authorities. 3. The Military Vicariate shall have the power to revoke the appointment of Military Chaplains subject to the prior warning of the State Secretariat for the Armed Forces. The Government in its turn for military reasons shall be able to request the removal of any Military Chaplain upon request of the Military Vicariate, which shall be carried out thereupon. 4. Concurrent with this present Agreement, Government provisions shall come into force setting out regulations regarding Military Chaplains as employees of the State. In that same set of regulations the classifications of Military Chaplains shall be specified. Before making any future modifications to these regulations, the Government undertakes to check with the Holy See whether there are any objections. 5. With the agreement of Diocesan Ordinaries and Father Superiors, the Military Vicariate shall appoint from amongst subordinates an adequate number of priests who, without relinquishing their diocesan or institutional posts, shall be assigned to assisting military chaplains in their spiritual ministry to the Armed Forces. Such priests or monks shall exercise their ministry to the armed forces under the instructions of the Military Vicariate, from whom they shall receive all necessary authority as requested at its discretion. The Government shall assign the appropriate salary for these people. 6. The present Agreement shall come into force on the 25 January 1958 and to that end the Plenipotentiaries shall sign this Agreement in duplicate original copy. Par. 1 A corps of Military Chaplains shall be created for each of the Armed Forces (of land, sea, and air). Three Senior Chaplains, each one assigned to the separate branches of the Armed Forces (of land, sea, and air). If necessary, a further three Senior Chaplains shall be appointed. A chaplain for each larger unit, who shall be appointed as necessary and whenever possible. The Military Vicar shall have a Secretary of basic officer rank and shall be granted the corresponding pay according to his rank. Par. 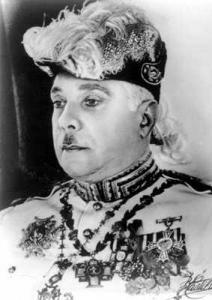 3 To any Military Vicar not holding a rank shall be accorded notwithstanding the rank equivalent of Brigadier. The Pro-Vicar shall be accorded the rank of Colonel. The Senior Chaplains shall be accorded a rank corresponding to Captain. Other Chaplains shall be granted starting officer grades. Par. 4 Promotion of these Officer Chaplains shall be given according to seniority of service and service rendered. Par. 5 The Military Vicar shall be given 500,000 Dominican Pesos per month in order to meet ordinary running expenses of the Vicariate. Other additional expenses shall be met in order to carry out his duties. The Pro-Vicar shall receive a stipend corresponding to his officer rank and other disbursements shall be met as they are incurred by his office. Other Chaplains shall be remunerated in a manner corresponding to the recognised professional grades of each of the corps already mentioned. Par. 6 As members of General Staff, Chaplains shall be subordinate as befits their military status to the Senior Military Headquarters to which they have been assigned by the Military Vicar and shall be subject to the discipline of the Armed Forces in accordance with their military service. Freedom shall be granted to exercise their priestly ministry, including celebrating Mass, administering the Sacraments and visiting sick and incarcerated military persons. Par. 7 Chaplains shall be expected to teach Catholic religious instruction and morality according to the programme set down by mutual agreement with the Military Vicar. They shall also intervene in censuring performances, such as cinematographic films, records, and other forms of entertainment, in order to avoid anything that might be damaging to religion and morality. Par. 8 In cases of serious or minor violations of military regulations or violations of a moral nature by a Chaplain, the competent military authority shall inform the Military Vicar for measures to be taken. Par. 9 The Government shall assign the sum of 400,000 Dominican Pesos per month to meet office running costs and inspection visit, and any other similar expenditure. Adequate payment shall also be made with the agreement of the Military Vicar to civilian priests and religious persons who help military chaplains in their spiritual ministry to the Armed Forces. 1. The Military Episcopate, established in the Dominican Republic by the Holy See to provide religious assistance to the Armed Forces of Air, Sea and Land, shall furthermore provide spiritual assistance likewise to the members of the National Police Force. 2. The pastoral jurisdiction of the said Military Episcopate, reorganized along the lines of the general norms laid down by the Holy See in the Apostolic Constitution ‘Spirituali Militum Curae’ of the 21 April 1986 (attached), shall encompass all the Catholic faithful of the Armed Forces and the National Police Force, members of their families, and those who attend the respective centres or are convalescing in hospitals, residencies for the elderly or similar places, or who serve in the same, Military Chaplains, and those who are assigned a permanent job by the Military Vicar or who are there by his permission. The office of the Military Vicar for the Dominican Republic, previously referred to as ‘Military Ordinary’ or ‘Military Vicar’, taking into consideration the particular local circumstances, shall continue to be covered pro tempore by the Archbishop of Santo Domingo. 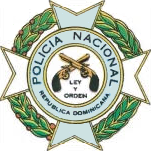 In the hope that the Honourable Dominican Governor shall consent to that which is stipulated above, the objective of which is to provide, in a stable and organic way, spiritual benefits for the members of the National Police Force, I take the liberty of assuming that the present diplomatic note and Your Excellency’s reply, trusting that what has been set out shall be acceptable and considered as a Supplementary Protocol to the Agreement mentioned above between the Holy See and the Dominican Republic, shall come into effect on the same date as marked on the Note of Reply." To this end, I have the honour of communicating to Your Most Reverend Excellency that the Government of the Dominican Republic has dated its approval at the head of the previous transcription, pertaining to Your Note and the current Note of Reply, which constitute a Supplementary Protocol to the Agreement of the 21 January 1958 between the Dominican Republic and the Holy See, which will come into effect on that same date. Signed 21 January 1958, with effect from the 25 January 1958.